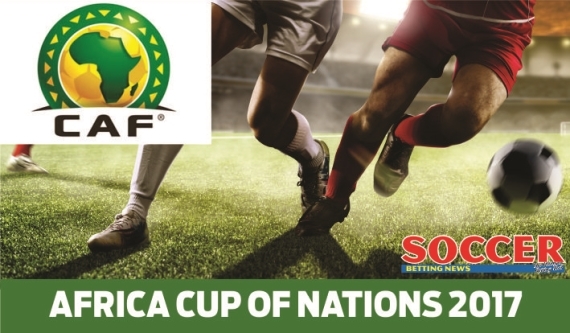 The final set of the AFCON 2017 qualifiers take place this weekend. Who will earn a spot in Gabon? The final round of the 2017 AFCON qualifiers will take place on Friday with teams looking to secure their place in the continent's biggest football prize. The teams that have qualified are Morocco, Algeria, Cameroon, Senegal, Egypt, Ghana, Guinea-Bissau, Zimbabwe and Mali, while Gabon qualify as hosts. It promises to be an exciting final set of qualifiers with lots of money to be made. Angola have no chance of qualifying for AFCON 2017, but they will want to win their last match against Madagascar. Angola started the qualifiers with a resounding 4-0 victory over Central African Republic, but that followed with a goalless draw at minnows Madagascar and defeats against DR Congo (twice) and Central African Republic. Madagascar are winless from five matches, suffering three defeats. Two of those losses came on their travels and Angola are tipped to claim maximum points. Reigning African champions Ivory Coast need only a draw to secure the chance to defend their title in January's finals in Gabon. Sierra Leone need to win to qualify for the tournament for the first time in 20 years. The Elephants are top of the three-team Group I, but have won just once with two draws. They played to a goalless draw with Sierra Leone in their first match before beating Sudan 1-0 at home and drawing 1-1 in Sudan. Michel Dussuyer has a quality side with the likes of Eric Bailly, Serge Aurier, Yaya Toure and Wilfried Bony. Back the African champions to oust their opponents. Burkina Faso must beat Botswana to qualify for next year’s Africa Cup of Nations in Gabon. Burkina Faso and Uganda are tied on 10 points apiece in Group D, but the Stallions are ahead on goal difference. Burkina Faso have won three (beating Uganda and Comoros home and away) from their five matches with a draw and defeat. Brothers Alain and Bertrand Traore are the key players for the Stallions. Botswana have won twice from five matches, suffering three defeats. The Zebras beat Burkina Faso 1-0 in September last year, but the Stallions will look to avenge that defeat. With more to play for and home advantage, Burkina Faso are tipped to win. Equatorial Guinea have been dreadful having suffered four defeats from their five games with a 1-1 draw against Benin. South Sudan have also suffered four losses, but have at least managed to win once, their first ever victory in a competitive match. That win came against Equatorial Guinea with Atak Lual's 52nd-minute strike sealing a 1-0 win in Juba. With nothing but pride to play for, the draw looks likely. Zimbabwe, who have already qualified for the 2017 Nations Cup finals, will look to put Guinea to the sword in their bid to complete an historic unbeaten run in the qualifying campaign for the continent's biggest football prize. Callisto Pasuwa and his men are unbeaten in five games in the qualifiers, winning three of the matches, including two against Malawi, and being held to a draw by Guinea in Harare and Swaziland away from home. Guinea, currently third in Group L, have won just once from their five matches, suffering two defeats. With the likes of Khama Billiat, Willard Katsande, Knowledge Musona and Tendai Ndoro, the Warriors should prove too strong. Zimbabwe are tipped to win comfortably. Togo will be confident of beating strugglers Djibouti in their final fixture in Group A, but it probably won’t be enough to book a place in Gabon next year. Togo are in third position with eight points, two behind joint-leaders Tunisia and Liberia, both have better goal difference. Togo beat Liberia 2-1 and played to a goalless draw with Tunisia in their home fixtures, while Djibouti lost 8-1 to Tunisia and 5-0 to Liberia on their travels. Togo are tipped to win comfortably. The winner of this match will secure their place in next year’s Africa Cup of Nations in Gabon. Tunisia and Liberia are level with 10 points in Group A, with the latter above on goal difference. Both teams have won three games with a draw and defeat from their five matches. Liberia beat Tunisia 1-0 back in September last year, but the Eagles of Carthage will be confident of using home advantage to their benefit. Tunisia won both their matches at home, beating Djibouti 8-1 and Togo 1-0, while Liberia managed just one win on their travels, beating bottom-placed Djibouti 1-0 before losing 2-1 to Togo. I’m going for Tunisia to edge their opponents. DR Congo and Central African Republic will battle it out for a spot in next year’s Africa Cup of Nations in Gabon. A point will be enough for DR Congo to progress as they lead Group B with 12 points, two ahead of Central African Republic. The Leopards have won four from their five games, losing the other 2-0 away to Central African Republic. The Wild Beasts have won three matches, drawing and losing once. A tight affair is expected, but DR Congo will benefit from home advantage and I fancy them to win this tie. The winner of this tie will book their spot in next year’s Africa Cup of Nations in Gabon. However, the loser could still progress as part of the best two runners-up. Mali are top of Group C with 13 points, two points above Benin. The Eagles have been superb in qualifying, winning four from their five games, drawing once. The Squirrels have won three matches with two draws. Benin’s Stephane Sessegnon has been the star performer in qualifying, scoring four goals. These sides drew 1-1 in Benin last year and are tipped to cancel each other out.